Good, i hope this is the case, i reallllly want capacity!! Do we have confirmation that this ride will be centrifugally based or could these all be multiple dishes of the same long ride where you get passed from dish to dish as one feeds you onto the other kind of a more advanced version of the Matter ride to put it crudely. This could create a centrifugal feel that is intermittent as well as a sudden burst acceleration for short periods like space flight ride might want? Based on this progression, I would lean toward the west circles just not being as complete at the northern ones. Could we be seeing the beginnings of one of these spires? Me thinks that's what they are constructing. Mark is an active member of the Disney Fans & Annual Passholders group on Facebook. Nice guy. Thx!! Im sure this will help others too. Maybe even a generation or two into the future when 25yrs from now someone seeks the answer to "how'd they build that"? Three new SILA videos from yesterday 7/2/17. Rivers of America from Critter Country, we now can get a view from the second floor of the Hungry Bear, it's looking great so much detail! Rivers of America from Tom Sawyer's Island. At 2:45 we get a pretty good view of the Indian Village, looks like the Teepee's are pretty much finished...looking good. At 4:20 it looks like we have an Eagle and nest. 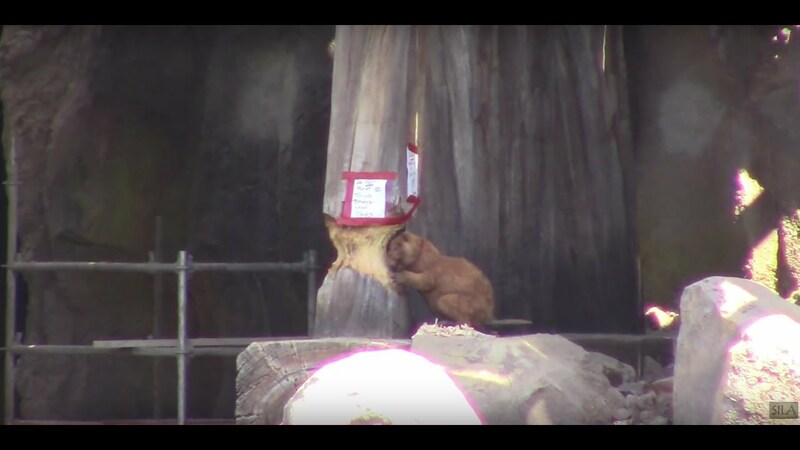 At 5:40 we now have a beaver chewing on one of the trestle supports. Again the amount of detail is amazing, they just keep layering it on. Last edited by Hammer; 07-03-2017, 06:54 AM. Star Wars Land construction update. Jane gets pretty good close-up shots go the inside of the BE building, there's a lot stuff going on in there. At 10:25 we get a good look at vertical structure on the MF building that chadwpalm is referring to. I think he is correct in thinking this is probably the framing for the spire's. Last edited by Hammer; 07-03-2017, 07:13 AM. 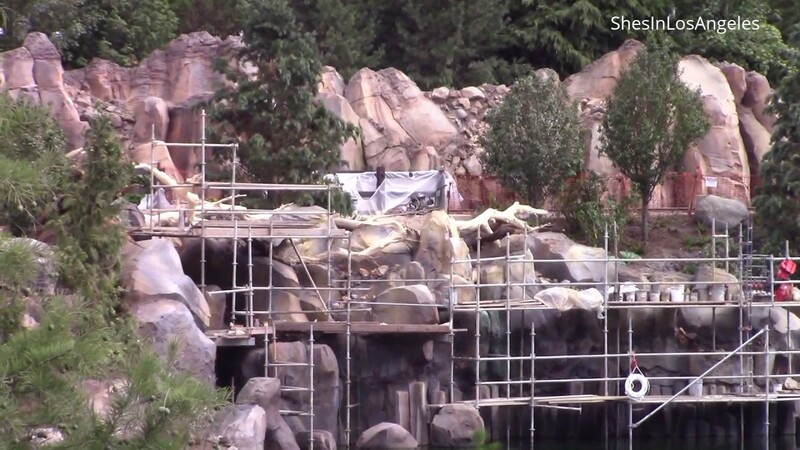 I seriously doubt that anything other than rock work will be visible over the trees. So far, it seems that Disney is doing everything it can to prevent SWL from being visible from elsewhere in the park. Maybe it will be built if the trees grow tall enough to obscure it, over the next two years. 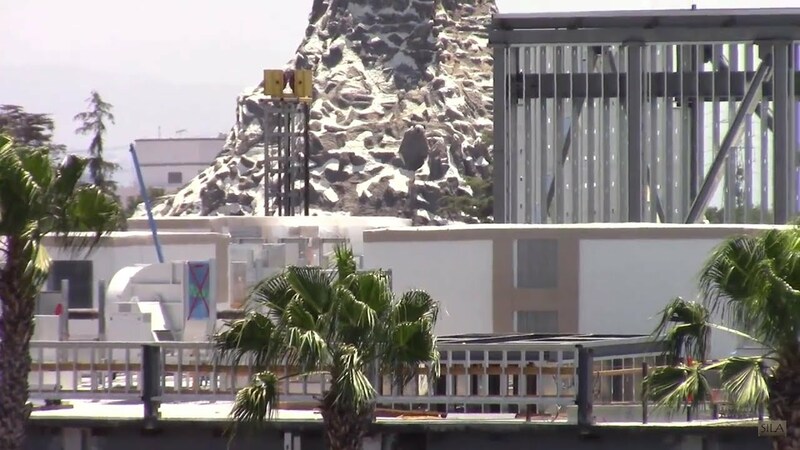 Hmmmm......I did look at the video again and it does look like that spire is taller than the BE show building. I had to back up the video and look at it from a wide shot. I guess perspective was tricking me. So you think that it's actually the taller mountain spires behind the one I pointed out in the artwork? It could be. Or, again, it could be the tower and will simply be better hidden once the trees grow more. A new video from Yensid 55 (Mark and his daughter Megan) documenting the construction progress for June. Mark is good at explaining construction detail and technique. I especially like how they will look at a certain area and dissolve from an earlier date to current, really delineating the progress over time. They also get some unique views and detail of the construction we haven't seen like the overhead view of the tracks between Splash and the Hungry Bear. I think it is the skeleton for the rockwork spires . The antenna are details. It is too early for details. Good catch. The tips of the new metal work do strongly resemble the antennae in concept art. Ah Ok that makes a lot of sense one disk for load and the one next to it for unload like a radial version of the HM's Loading system. More on the path from CC to SWL... I'm really stumped about what form the path is going to take. It looks like there is a faux-wood wall that runs most of the way up the concrete wall under the bridge. It wouldn't seem right for that to continue onto that wall that curves/angles around to the right. But there is nothing protruding from that right-bearing wall, that would indicate rock work was going to be applied to it. Also, the wall gets shorter as it continues. How is that going to really block the view of SWL until guests actually enter the land, if guests can see over part of it?